What is the Itinerary of Delfin III? The itinerary of Delfin III comprehends a precise balance of water activities and land excursions, as well as visits to local communities and wildlife rescue centers. 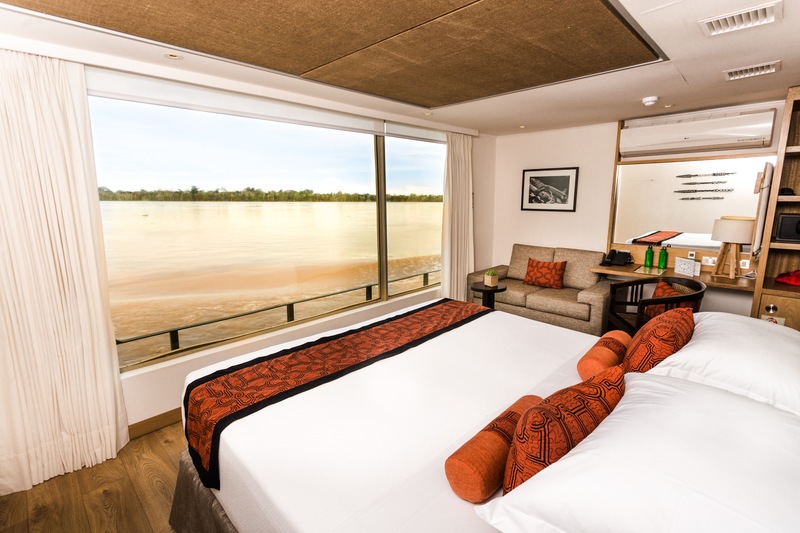 The luxurious Delfin III offers passengers an illuminating journey that will inmerse them in the misterious and fascinating wonders of nature as they discover the delights of the Peruvian Amazon. Your Amazon journey takes off on arrival in Iquitos, were we will personally pick you up and take you to our vessel. 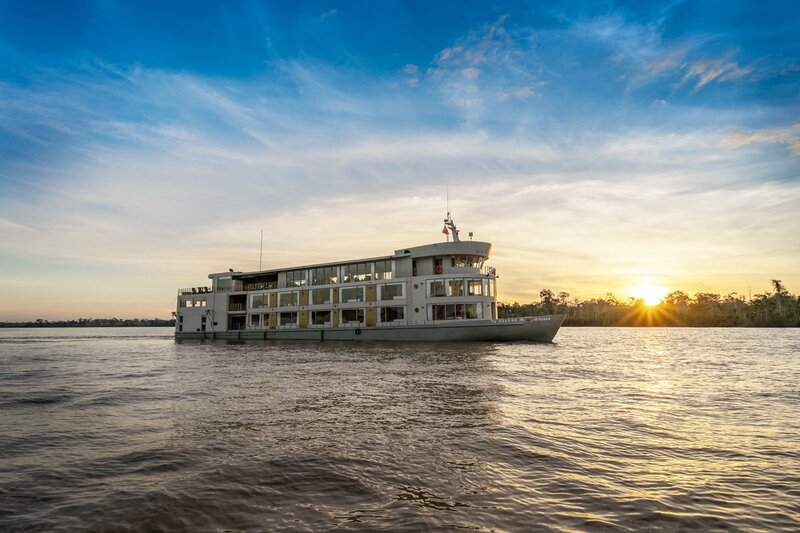 In the following days, you will experience an ideal combination of natural wonders, dramatic scenery, indigenous cultural history, and a relaxed self-contained way to explore the rainforest while sightseeing nature at its best. Our four, five and seven days’ itinerary of Delfin III offer travelers the chance to be one of a select group to visit the remote Pacaya Samiria National Reserve, the largest protected wetland reserve in the world and one of the areas of highest biodiversity. 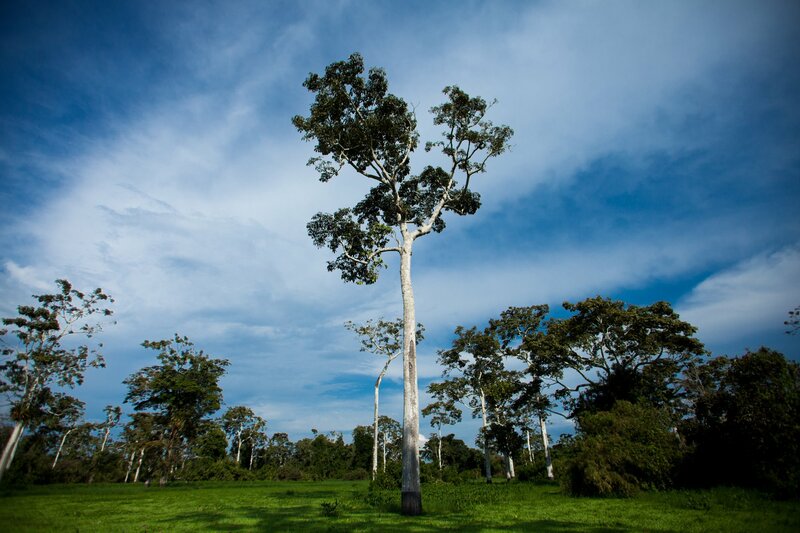 All our activities have been carefully selected to showcase the best flora and fauna that the Marañon and Ucayali Rivers have to boast, allowing travelers to further discover the secrets of the Peruvian Amazon. All itinerary activities are optional, although we encourage all guests to tempt their adventurous side. 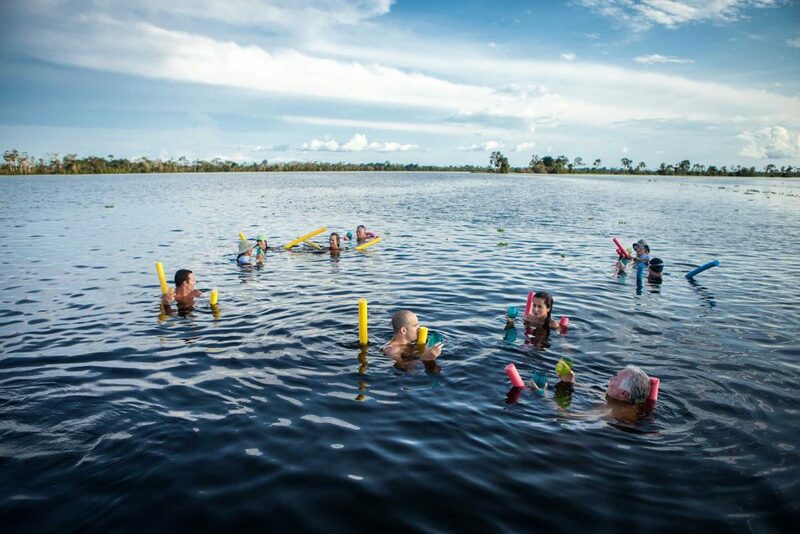 The 2 or 3 times daily excursions (one in the morning, one in the afternoon) include kayaking in the calm creeks and lakes, swimming with dolphins, fishing for piranhas at sunset, skirting the riverbanks in search of playful creatures, birdwatching, trail walks, and visits to local communities to interact with the native people. Optional early birdwatching excursions before breakfast are also available for those who are up for the challenge! 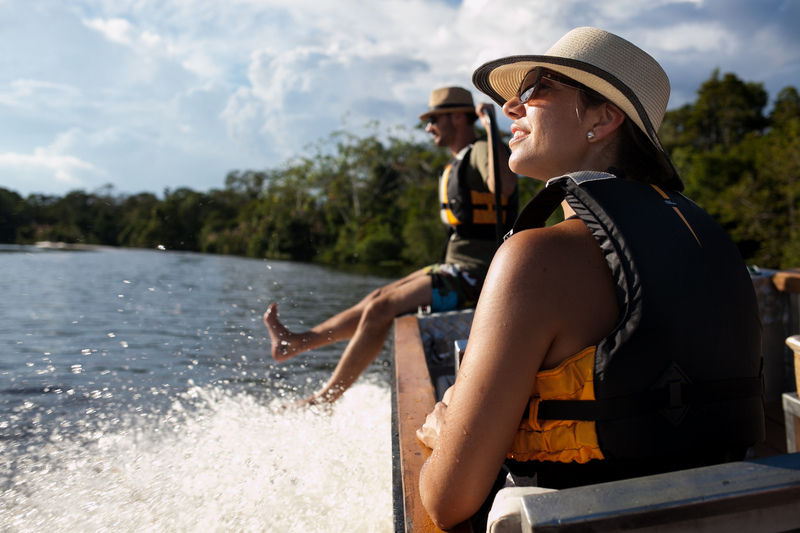 Explore the Amazon jungle from skiffs or on foot and submerge in the spectacular views of the Amazon Rainforest, with local experts and naturalist guides. 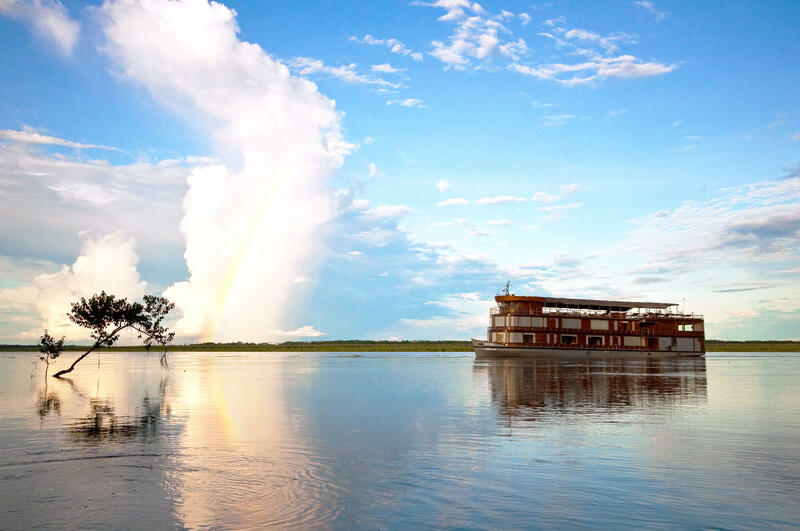 Navigate the Amazon River and marvel at its exotic and diverse wildlife: multicolored fish, toucans, caimans, river turtles and many more fascinating species. For more information on the departure, itineraries and activities, check here for availability.